OHMYGOSHYOUGUYSIAMSOEXCITED!!!!! Wanna know why? Okay, I'll tell you. 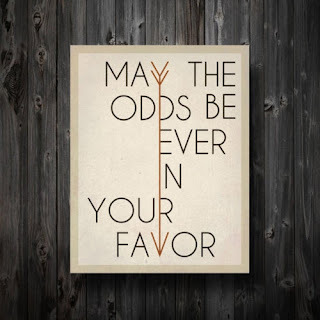 HUNGER GAMES TOMORROW AT 1:45 P.M.!!! Yes, I get to see it earlier than all you people in America. Yes, I am so freakin' excited about that. 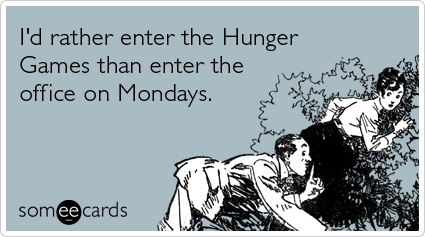 In honor of HG tomorrow, here is an episode of Oh, How Pinteresting: Hunger Games Edition. all pins original sources can be found here. What about YOU? Are you seeing it this weekend?! Love it! I thought about doing a Hunger Games-themed post today, but I ended up going with spring instead. And yes, I'm seeing it Saturday afternoon! I love the outfit! So simple and adorable! I LOVE all of these!! I cant wait for the movie!!! 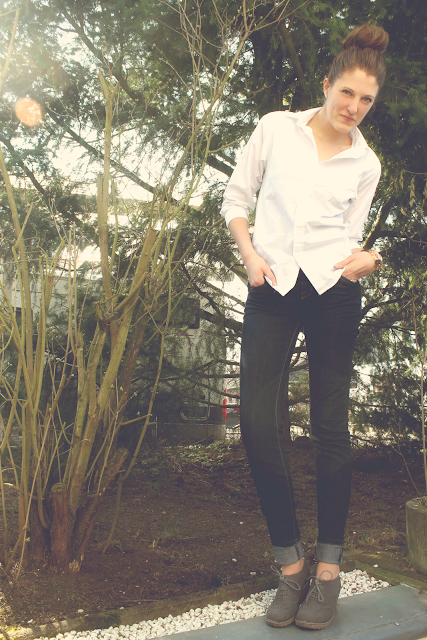 Alyx, i seriously think you can be a model! Cute outfit! I'm going to read the book this weekend and then see it. 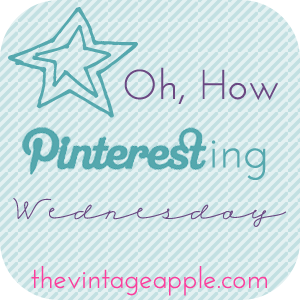 My Pinteresting post is all about HG, too! I'm insanely jealous you live in Germany and therefore get to see it before me, haha. Your blog is super fun and I'm about to go read some more! Enjoy the movie!!! 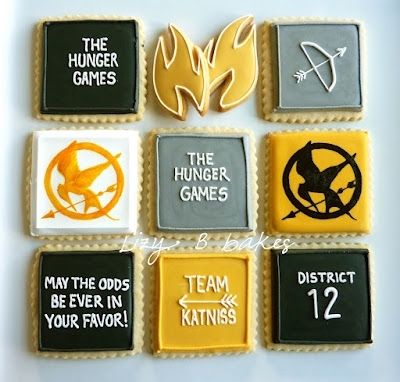 Okay, so first off I want those hunger games looking bracelets. Secondly, I AM SO JEALOUS OF YOU THIS IS NOT EVEN FAIR. And thirdly, your shoes, I can have those as well? We're seeing it tonight! I haven't read the books and ideally I would have liked to read those first, BUT I don't have access to them and it's date night for me and hubs! I think you're prob in the movie right now! Hope it's as good as you wanted it to be! love love love the outfit!! 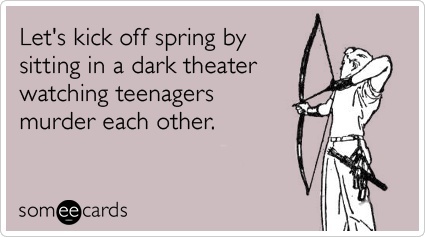 i need to get tickets to the hunger games! 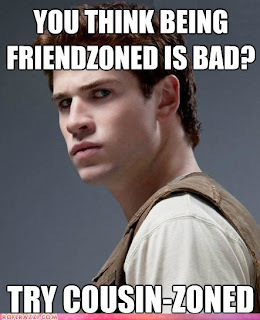 LOL - cousin-zoned? What the heck kind of books are these?? ;o) Hahaha! Are these books about cannibalism?!?! Really?? THAT'S what has everyone all hyped-up???? I'm so excited to see the movie!!! I think I'm going on Sunday--my birthday. Not positive though. Oh. I am SO ready. I love Peeta. Period. 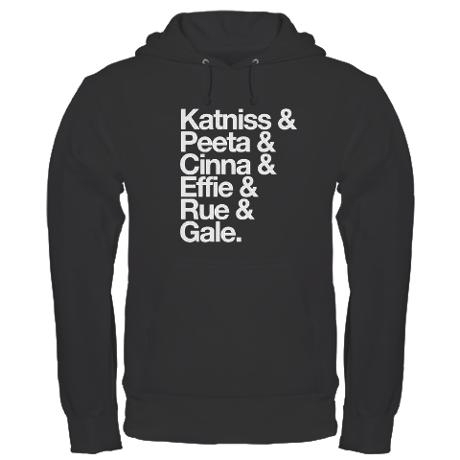 And Rue. And Cinna. Ha! Those Pins are hysterical! Lucky you to see it early. I'm waiting (anxiously) until I visit my SIL to see it together - April 1. I love the print! :) plus, you and mike seeing it before the rest of us is so cool! Maybe it was destined for you to be in Germany in March of 2012? Yes! Part of the birthday celebrations! And then I'll probably see it again when my bf gets home! Eeeeeeeeeee! My hubby baby is not pleased that yet another book I've read that he didn't like has turned into a movie that he's being dragged to watch. But he owes me anyway! 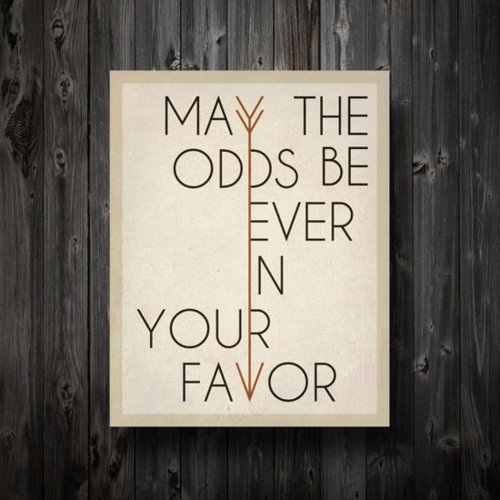 Loving "May the odds be ever in your favor!" I so want that for my wall now! Ahh, so jealous. I'm going on Friday. CANNOT WAIT! AH!!! I hope so... I'm not even sure when it will come to our little small town theater... So will it be in German when you watch it or English?? ah! too cute- I love those shoes. 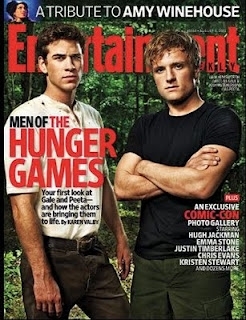 And everything related to the hunger games in the post made me smile and get even more excited for the movie.! Obsessed!!! Can't wait to see it Friday right after work!! 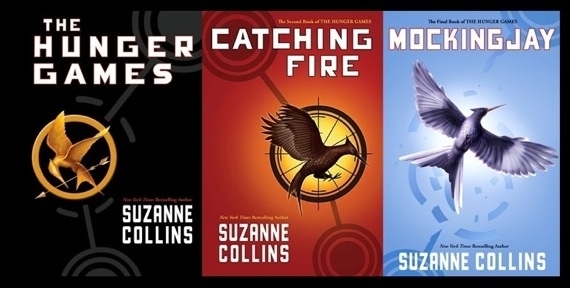 Think I might reread today and tomorrow!!! Also is it wrong to want to wear hunger games jewelry?? Lol! 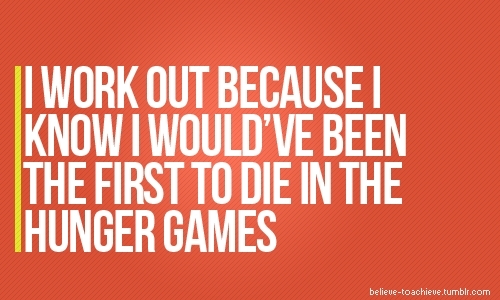 oh, swoon, hunger games. i can hardly wait. do you know that people were already waiting on line this past tuesday to get tickets for the opening show on friday? that is some craziness right there. so, great alyx, you've just made me become obsessed with that mockingjay & arrow bracelet. seriously, how pretty is that?? That's so exciting you get to see it before us/usa! Though I'm seriously jealous. I've had my tickets for THREE weeks. 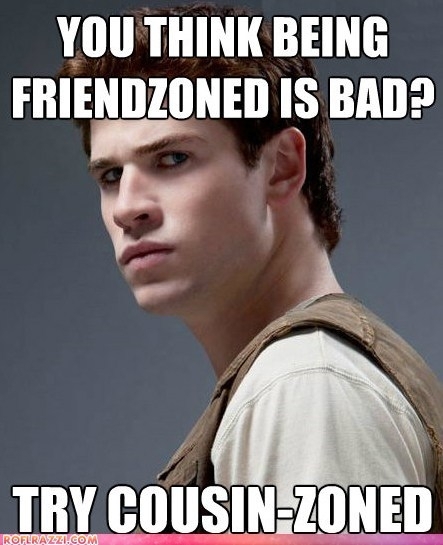 cousin zoned! highlight of my day, that was amazing. Gahhh I can hardly contain my excitement for this! 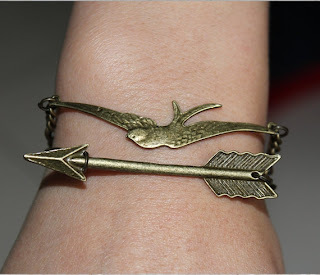 I so want that bracelet! I am totally seeing it this weekend! 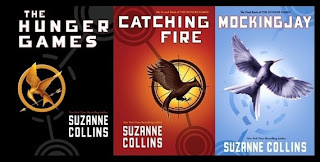 I started book one on Friday afternoon and finished book three ten minutes ago! Loved them!! 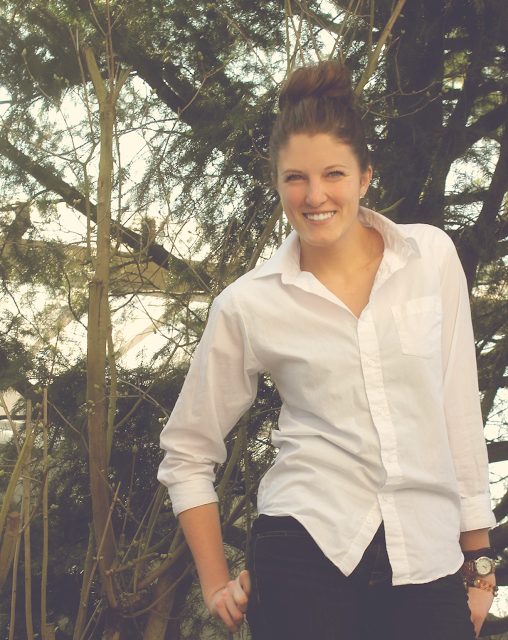 oh alyx, your outfit is too cute. i adore your high bun. and im very jealous my hair isn't long enough to copy it. 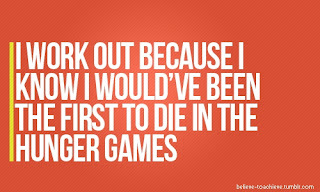 and im super jealous you get to see the hunger games tomorrow!!! Did you see the one that says "If I'm excited to see the Hunger Games does that mean I'm from the Capitol?" hahaha! Too funny. :) You look SO SO cute!